Whenever a guest enters your house, the first place that is noticed is the living room. Hence, whenever there is a guest to come up, you rush up to arrange your living room. Apart from arranging the living room, it is also important to decorate it in the right way that can create a great impression on the guests about you. When you will search online, there are so many different options that you can come across such as wall paints, art papers, accessories, and many others. Here are some of the amazing wall ideas that can be highly impressive in decorating your living room. Providing a greenery touch to your living rooms makes it look fresh and lively. It can be said that you can provide a feel of the Amazon greenery to your room. This can be done by using wall paint art to create options such as plant pictures. If somehow getting such an expert for the wall painting is difficult, you can also make use of the wallpaper that can be installed just above the main couch. You can decorate the side walls with some artificial hanging plants too. Anything that is highly attractive always creates news. Imagine you have your house painted in the best shades but one of the walls of your living room is still showing of bricks and mortar. This is the new concept of providing a rustic look to your living room. You can complete the look by hanging a bicycle or a tyre on the wall too. People who are tired of the clean looks can always try this to get something new to experiment. If you love the French artworks, you will also love the shabby chic look. Paint the walls in light shade such as pink and put up lace curtains or net curtains. You can also add up accessories such as 3D artwork or wall hangings just above the cushion area. Now this can really create some sort of creativity in your living room. Paint the walls white and now put up everything black such as plant flowers in black colored planter box, install furniture with the shade black, and put up a black and white painting on the wall, and so on. If you do not wish to experiment much and wish to decorate your living room with the minimal efforts, another great way is through the portraits. You can get black and white portraits or paintings and put it on the wall behind your couch. You can either put one single huge portrait or can also combine a few of the portraits and put up an entire collection. 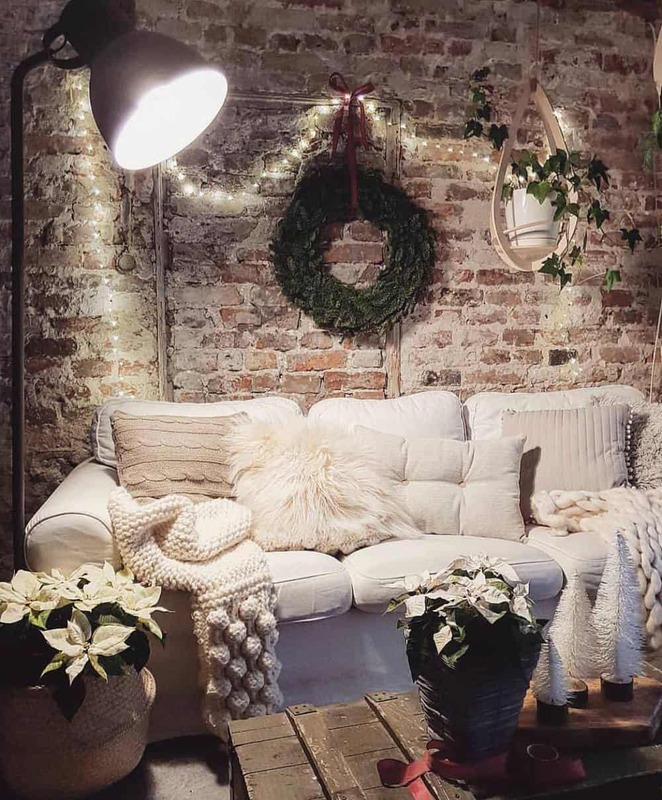 If the living room is such that you can have only one wall to decorate, it becomes much easier for you to do so. You can create an impressive TV unit, install the TV on the wall and also install some of the paintings and portraits surrounding the TV. That’s it and the whole look is complete. The wooden house is something that impresses all the time. You can offer such a wooden touch to your living room too. The walls, the floor, and even the roof can be made up of the wooden texture tile and painting, or wall paper. By complementing the look, make shelves on one of the wall that will be of complete wood in its own shade. Dark block shades can actually create magic if used in the right way. You can paint one of the walls of the living room with such a dark block color. You can now either put up your TV unit on it also put up a couch in front of that wall or can even decorate that wall with other options such as wall hangings and other accessories. Similar to the option of paintings and portraits, you can also make use of various sketches to decorate your walls. If you are someone interested in sketching, you can draw the sketches on the wall. 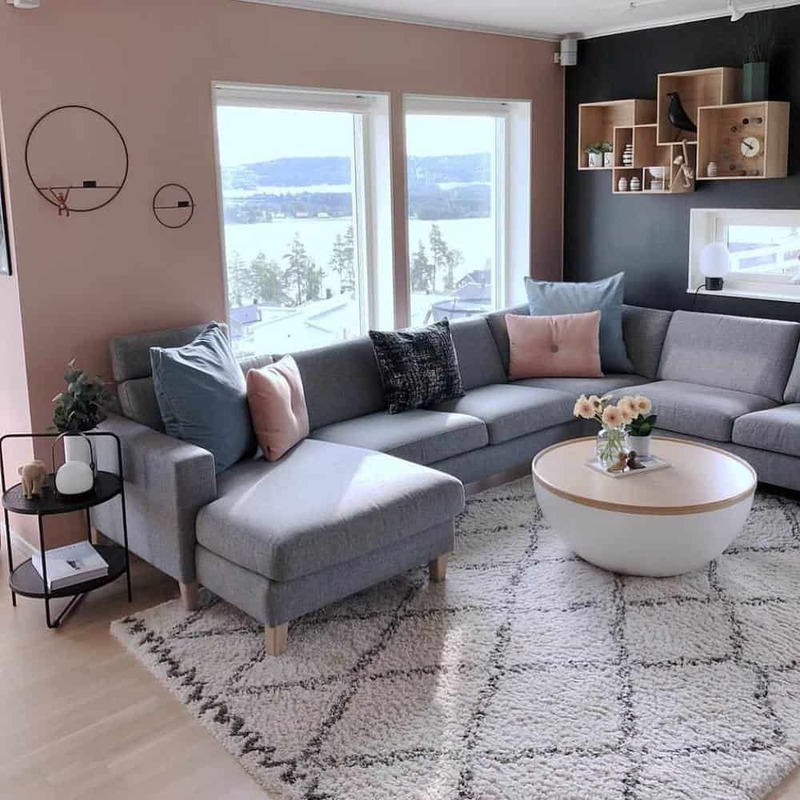 To match up the sketches, make sure to keep the color of the other things in the living room such as the curtains, cushion covers, and others to be subtle. Have you ever thought that the abstract paint can also help your living room look different and attractive? Keep other things normal and simple while put a splash of abstract painting on one of the walls. To add up to the abstract feel, you can install few of the abstract items such a blank frame, a small wooden stair, and so on leaning on the wall. If you love the traditional looks, this is the thing for you. Create spaces in the walls and insert items such as a small statue or a small lamp and so on in these gaps. You can also add wall hanging strings in between two gaps. Having a pastel ambience can offer a feel of relaxation and warmth to the living room. Install cushion covers, carpets, curtains and other things of the pastel shade. Now for the wall, you can put up a painting in the pastel shade on one of the walls or even at two diagonal walls. There are a number of people who love to add art on their walls. With the help of so many painting designs such as butterflies, leaves, and so on, you can get some real artistic work done on your wall. If you do not wish to use painting, you can also add up stickers of butterflies and so on the wall. A number of people wish to have a rough look of their living room. For this, metal lamps can be hung from the walls. Also, metal furniture can add up some more effects to the room. There can be a diverse number of ways to transform your living room into a beautiful one. Focusing on the walls can help you in a huge way in making your living room a perfect place to impress your guests.